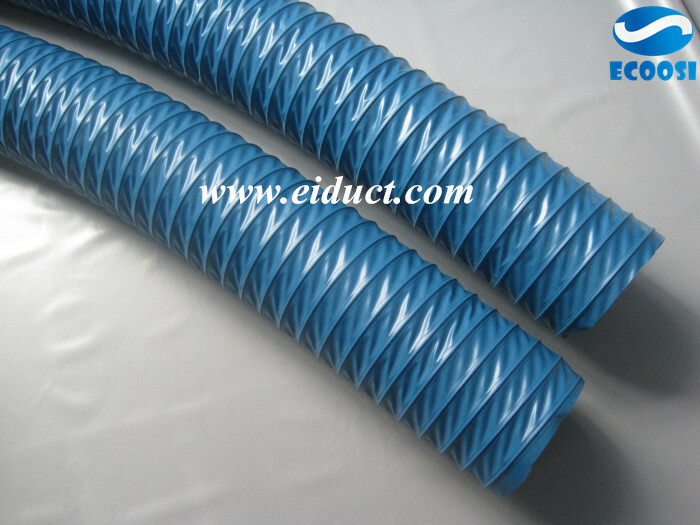 Blue fabric air duct hose from Ecoosi Industrial Co., Ltd.
Ecoosi industrial blue fabric air duct hose has good flexibility, flame retardant, anti-acid and alkali, corrosive gases, anti-aging, durable, easy construction. 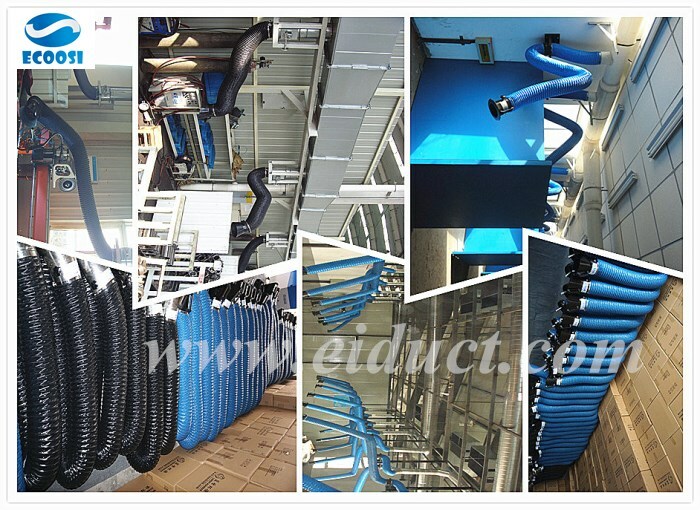 Flexible silicone coated double layer glass fiber fabric ventilation duct hose from Ecoosi Industrial Co., Ltd. Flexible silicone coated double layer glass fiber fabric ventilation duct hose are ideal for applications that require extra durability to protect from abrasive materials. 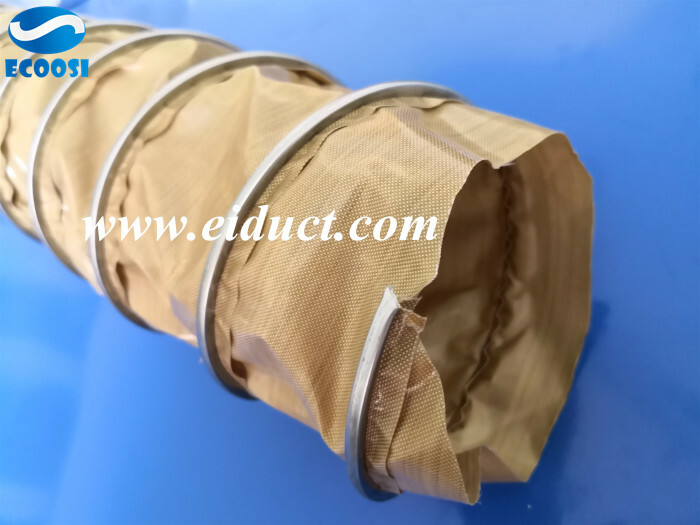 Ecoosi Flexible High Temperature Ducting has good vacuum characteristics. 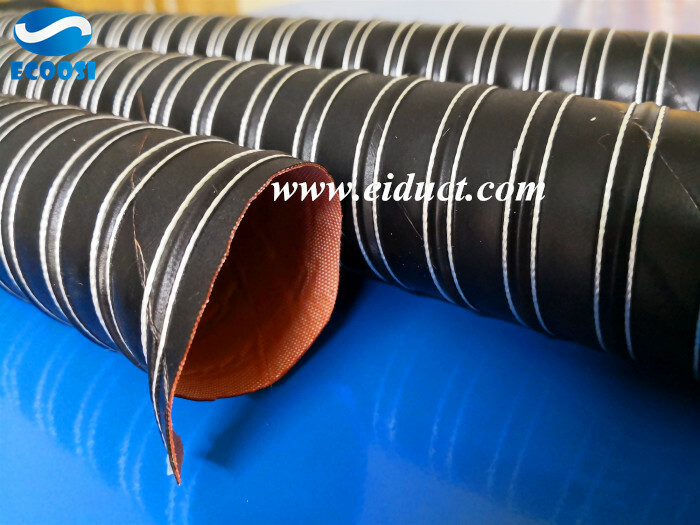 Silicone flexible high temperature resistant duct hose from Ecoosi Industrial Co., Ltd.
For ambient air movement, the industrial PVC fabric ventilation hose will be the most suitable place to use. 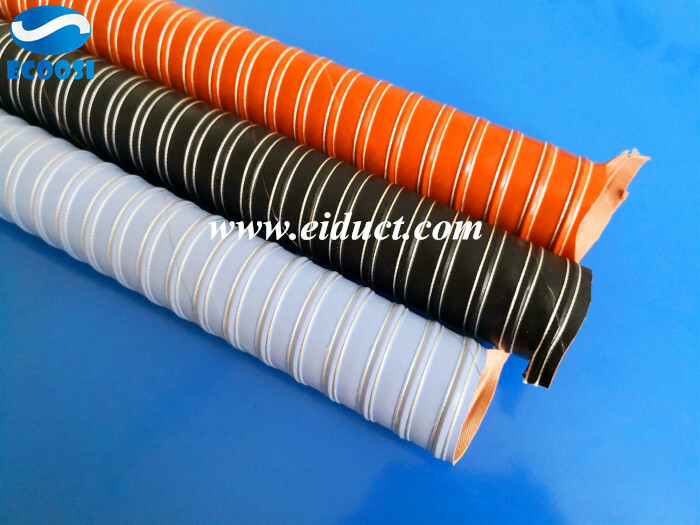 For ambient air movement, the industrial PVC fabric ventilation hose will be the most suitable place to use. 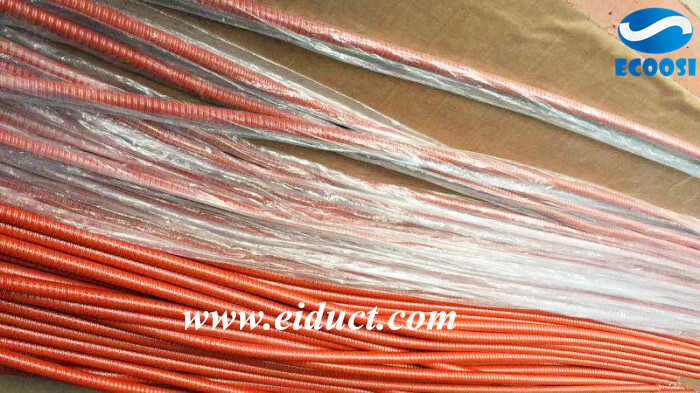 These are usually light and highly flexible duct hose to make it perfect for air movement. What kind of ventilation hoses is ideal for air transport and extremely flexible and light? 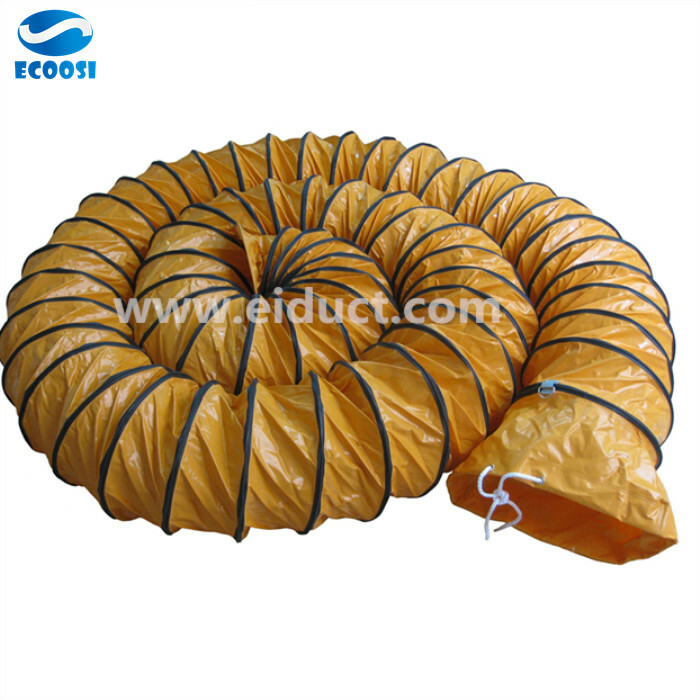 Ecoosi polyester fabric duct---industrial ventilation tarpaulin air hose is extremely flexible and very light, it is resistant to adverse weather conditions and easy to connect to other hoses. 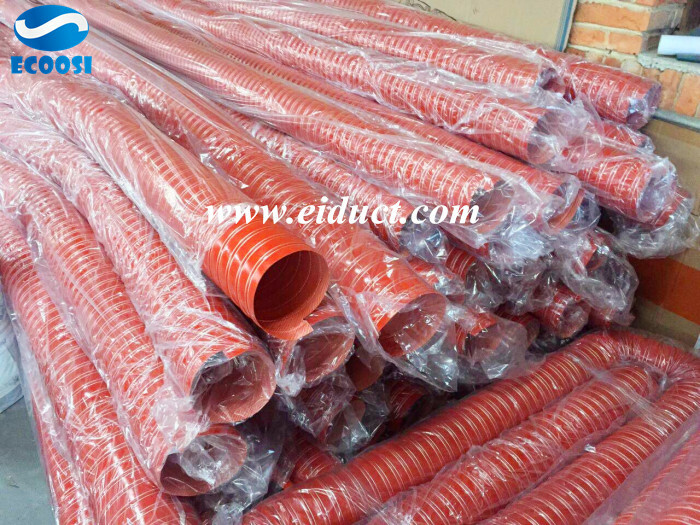 Different color double layer silicone vent duct hose from Ecoosi Industrial Co., Ltd.
Green color double layer silicone coated duct hose from Ecoosi Industrial Co., Ltd.
Ecoosi provide a flexible heating silicone hot air ventilation duct hose made of 2 Ply silicone glass fiber fabric. 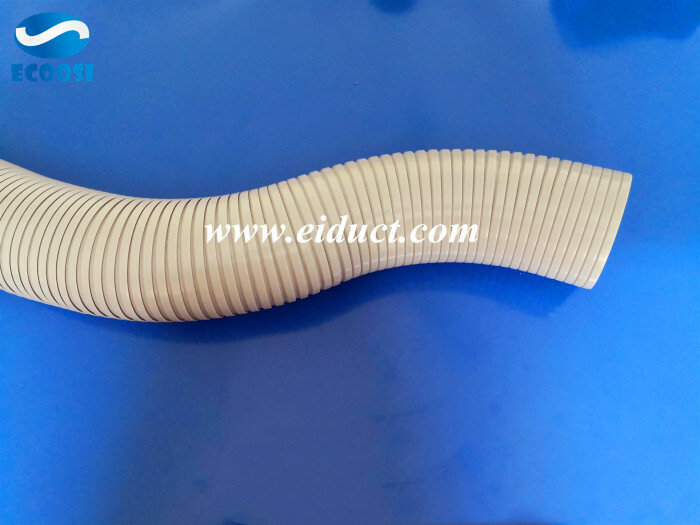 For high temperature applications, Ecoosi provide a flexible heating silicone hot air ventilation duct hose made of 2 Ply silicone glass fiber fabric. Ecoosi interlock rigid PVC air duct hose is ideal for air, fume extraction and liquid supply at low pressures. Ecoosi interlock rigid PVC air duct hose with self-supporting, simple to increase or decrease in size, resistant to acid, alkali and chemical, and keep shape. 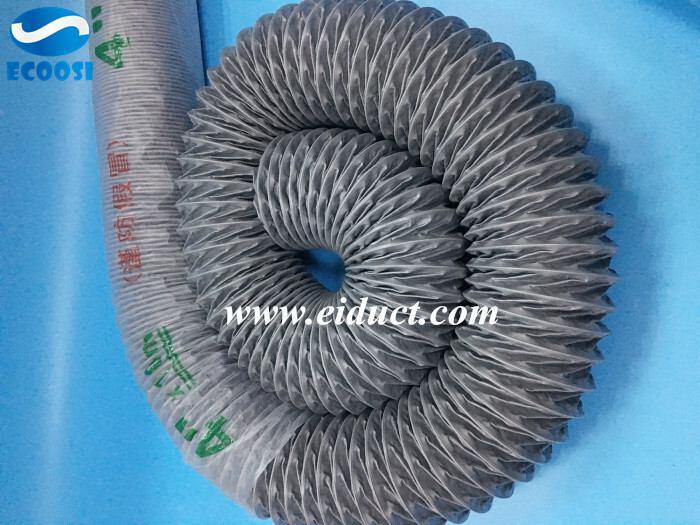 A common application of a flexible air ducting ventilation hose is as a transfer ducting for dehumidifier.